`i’m incredibly busy with yet another large wholesale order, so here’s a great post from Catherine Poole that deserves a read…. 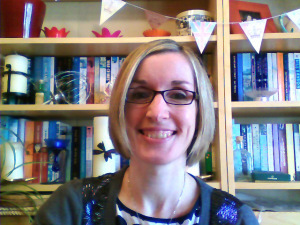 Here’s another Guest Blog Post from Catherine Poole, a Virtual Assisant from Fife. She talks about the best way to blog – by podcast or with word? Which way do you favour? How do you best express yourself? I recently attended an event near where I live in Fife called the Content Marketing Workshop, and along with a group of other mostly local business owners, I learned a bit more about content marketing, specifically blogging and podcasting. I’ve been blogging for a wee while now, but podcasting is something I’m completely new to! I suppose you could say that writing a blog or recording a podcast are both good ways of showing your expertise, helping your existing or potential customers and adding value to what you’re offering, but which is the best medium? Should you do both? Should you try one and not the other?